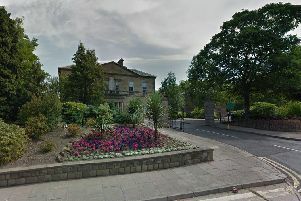 A pensioner was dragged through a South Yorkshire park by two hooded robbers before they made off with her handbag. At around 12.30pm on Friday, February 24, a 72-year-old woman was walking through Alexandra Park, Swallownest, when she was approached from behind by two unknown men. Officers say the men are believed to have snatched the woman’s handbag, causing her to fall to the floor. She was then dragged for a short time by the pair before she let go of her bag and the suspects fled from the scene out of the park. A South Yorkshire Police spokesman said: "The suspects are described as being white, in their late teens to early twenties, between 5ft 8ins tall and 5ft 9ins tall, of slim build. They were both said to be wearing hooded tops. "Did you see the robbery? Do you hold any information that could help officers?" Any information call 101 or email enquiries@southyorks.pnn.police.uk quoting incident number 467 of February 24, 2017.